If you have plans on investing in fishing gear and you don’t have the time to read different reviews, this concise write-up will give you more information about the best bait casting rods. Deciding on the best fishing rod is like investing in a good friend. This Abu Garcia Vendetta Casting Rod review will give you an idea how versatile this fishing rod is. This review includes the top features of the product and what benefits you can get if you choose Abu Garcia Vendetta on your next fishing adventure. Here is a quick recap on what we think of this cast rod. Abu Garcia is one of the few companies that have survived the fishing industry. Most of the fishermen have used the brand and are aware of how this brand strives hard to cope with changes. The quality of the brand and the level of innovation were two of the qualities which makes it popular. Recently, they introduced their newest addition to their casting rods – the Vendetta series. Just like their Revos line-up, the Vendettas have undergone a few life cycles and had resolved a few issues along the way. Some fishermen are excited to try this newest generation and take them to the water. The improved Vendetta series was designed to offer durability, versatility and increased fishing ability to budget-conscious anglers. 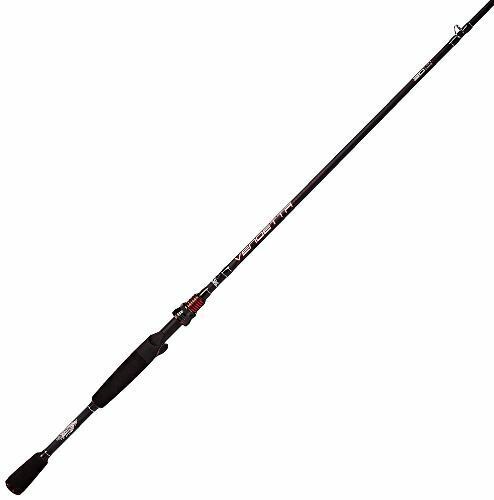 This Abu Garcia Vendetta Series fishing rod is a good bargain if you are searching to add a few actions and added lengths to your collection. The Vendetta Series possess some of the great features most fishers are looking for when it comes to casting rod, and we will discuss some of them here. Line Weight: 12 to 17 lb. Lure Weight: 3/16 – 5/8 0z. Most fishing rods that fall under this price range may feel heavy and awkward in your hands. If this is the case, it is impossible for you to catch a fish using them. But will you be able to rip a jerk bait or wind a big catch all day, without experiencing pains and aches? With Abu Garcia Vendetta next generation rod, you will feel good even after using it for hours. The Vendetta series have a 30-ton graphite blank that makes this rod lightweight. It is light enough that you can use it comfortably for many hours of fishing whether you are flipping, jerking, pitching or cranking. If you have the chance to use the previous model of Vendettas and compare it with the newer model, you notice the great difference in its weight, and it is comfortable. The IntraCarbon technology feature of the Abu Garcia fishing rod improves the strength without making it heavy. This new series is precision-engineered for a balanced feel. It features super sensitive blanks with lots of power. Vendetta's IntraCarbon technology applies very thin sheets of carbon fibres in the fishing rod’s construction. The layers increase the compression strength of the rod which makes it less susceptible to failure when subjected to intense loads. This fishing rod is very sensitive. When casting deep, you can quickly sense a bite and fix the hook before the bass covers you. 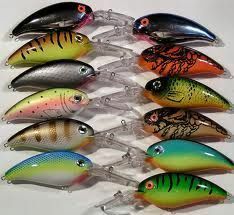 You can also use this as crankbaits. It maintains a right bend as you reel, which serves as a shock absorber once you get a bite. It has lots of delay on the tip, so you can allow the bass sometime to eat treble-hooked baits before preparing the hook. Abu Garcia casting rods have unique EVA handle design. It has Contour Curve Handle which is flat on both sides meaningless hand fatigue, mainly when you are battling the torque of medium to deep-diving crank baits. This type of handle repels water as well as fish slime to enable a solid grip. Its micro-click reels seat hoods produce audible clicks if you tighten this down onto your reel just like a ratchet. This feature will ensure the reel remains firmly connected to the rod. Most of the cheap rods have significant problems with this feature. So, if you don't want a falling reel while you are fishing, choose the latest Vendetta series, and you will not regret it. The best feature of the Vendetta series is its casting ability. Abu Garcia rods load up nicely with baits within its casting range. Its graphite blank feels firm and solid with each cast, and it remains lightweight even with a shad tied to the end of its line. 1. What are the casting rod features do I need to check before buying? If you are buying a fishing rod as a gift, you need to know the fishing habits of the recipient. After knowing this, consider the different features like the flexibility of the rod, how durable is the rod, the length of the rod needed, and what is the rod made of. 2. Does the company offer Abu Garcia Vendetta warranty? The company offers a three-year warranty for their Vendetta series. It covers manufacturing defects for three years and workmanship for one year from date of purchase. The warranty is given only to the original buyer. 3. Is the medium-heavy rod recommended for pike and bass fishing? 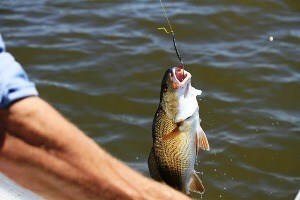 The Vendetta is very effective in bass fishing, and the users have no complaints. It is quite sensitive and can be used for catfish as well. Vendetta has 7'3" fast action rods. If you find the MH a bit stiff, it is best to use it with a heavy jig or lure for casting distance and braid with jigs. 4. How to cast properly using the Vendetta series? Cast techniques differ depending on the type of fish involved. 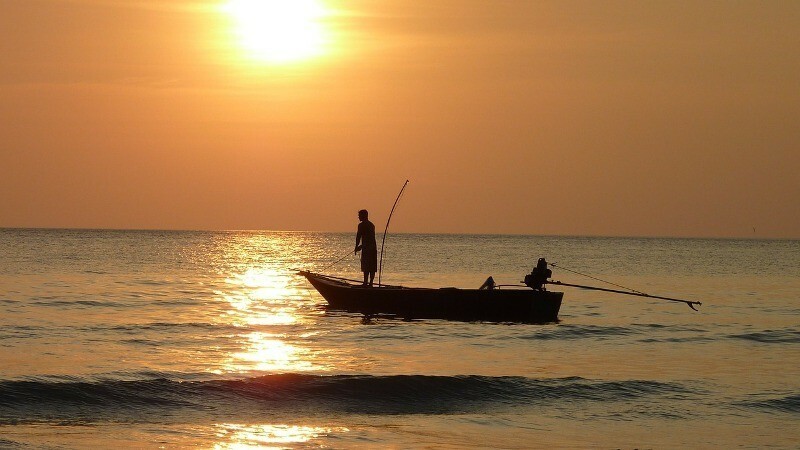 Casting is done by throwing the bait or lure attached to a fishing line into the water with the help of a flexible fishing rod. Keep in mind that casting is done through wrist movement and not with your arm or shoulder. 5. What to do if some parts of the fishing rod jammed at a joint? Fishers get frustrated when their fishing rod gets jammed at a joint. This can be due to dirt or corrosion in the joint. The primary cause of joints being fixed too tightly is if you extend the rod too much. To avoid this, make sure that you do not overextend the rod. Keep the rod off the ground so it will not attract dirt into the joints. Before taking it down, wipe it with a clean cloth to remove any dirt on the joint. This Abu Garcia Vendetta casting rod review has proven one thing; it is worth buying for. With its price range, we can consider this as one of the best casting rods compared to others. It comes with a nice set of guides. Abu Garcia Vendetta is an excellent product that assures to redefine the value of rod. If you compare Abu Garcia Vengeance vs. Vendetta, we find the latter much better. To learn more about this product, you can visit their website and contact the Abu Garcia customer service. With the durability and sensitivity of the product, we have given this product a rating of 4.4 stars out of 5 based on our experience.